7055 Inc’s Lizard is distressed copper with splashes of color and is southwest inspired. 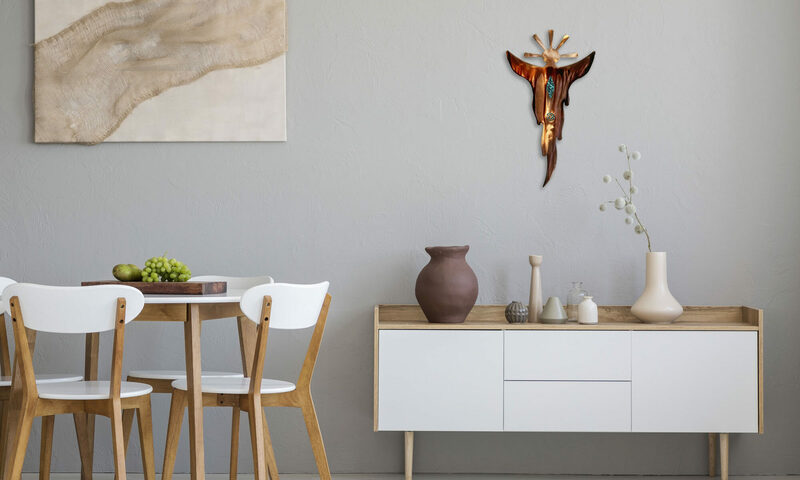 This fun piece will stand alone or do well if added to your home to accent other pieces, the Lizard is just looking for a home that will appreciate it. Each Lizard is hand-finished, so the splashes of color and distressing will vary, making each Lizard unique.